Fortunately, the tornadoes were not. Thunderstorm moving toward the Smith House this afternoon. 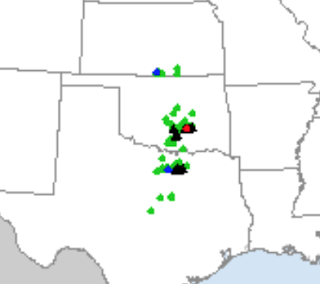 There were so many huge hail (≥2") reports (black symbols) you can't begin to see them all on this map. More will be posted tomorrow. The only tornado (red) was east of Ada, OK.